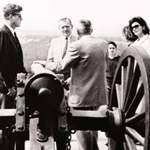 On March 31, 1963, President John F. Kennedy with some friends and members of his family drove from a church service at Camp David, Maryland, to tour the Gettysburg Battlefield. 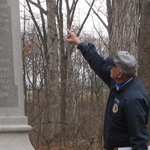 Their guide was Jacob Melchior Sheads, a longtime Gettysburg High School History Teacher and seasonal historian with the National Park Service. 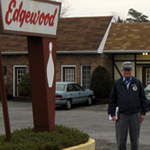 Licensed Battlefield Guide Richard Goedkoop follows what we know of the route that the Kennedy party took around the battlefield. To contact Richard Goedkoop, click here to reveal his email address. 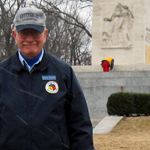 Rich provides us with the historical context for Kennedy’s visit, describes how Colonel Sheads was made aware he would be giving a tour to the President, and examines the first few stops on the tour the Kennedy party would have made on the field. In today’s post, “Colonel” Jacob Sheads has lost control of his planned chronological tour. “We did the whole damned thing entirely backwards,” Sheads later said. “But I couldn’t tell the President what to do.” After getting out at the “Angle,” the party traveled south towards Little Round Top. 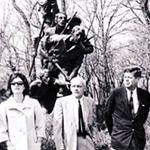 In Part 4 of our series on President John F. Kennedy’s visit to Gettysburg, Gettysburg Licensed Battlefield Guide Richard Goedkoop presents the visit to New York’s Irish Brigade monument. In today’s post the tour goes to the Wheatfield/Stony Hill/Loop area to talk about the Irish Brigade. In today’s post, the Kennedy party drove north along Seminary Ridge and got out of the vehicles (for the third time on the tour) at the North Carolina Monument. In today’s post the Kennedy party drives by the Eternal Light Peace Memorial and leaves the area by helicopter. 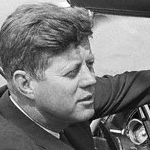 … shows President John F. Kennedy driving the vehicle to Oak Hill and his party looking at the Eternal Light Peace Memorial. 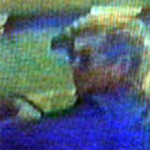 At the end of the video, he is turned around and is driving back towards the camera.